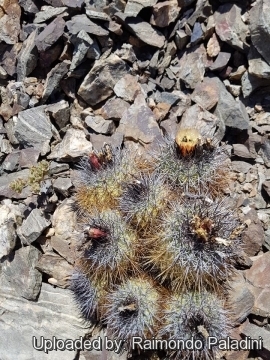 Copiapoa rupestris, Chile Jannuary 2018. 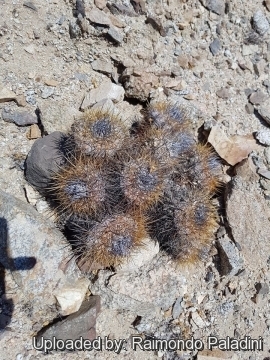 Origin and Habitat: Chile, Región de Antofagasta, between Cifuncho and Taltal. Habitat: It grows along the rocky and very arid coastline in granite terraces and rolling hills. The long tuberous root of this Copiapoa is buried deeply in these soils which are very poor in organic matter. In the area where these plants grow there is very little rain but frequent coastal fog, which provides a significant part of their water needs. The species is restricted to less than 5 locations. It reproduces only by seed, which are dispersed mainly by Ants. 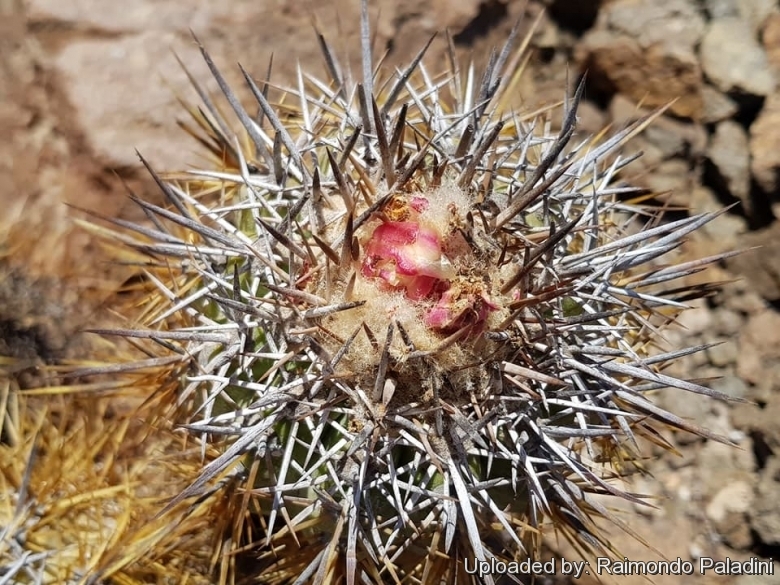 Description: Copiapoa desertorum var. 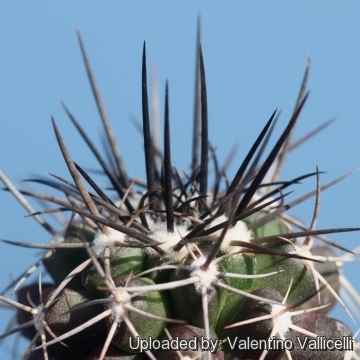 rupestris (Copiapoa rupestris) is a local variant of the very variable Copiapoa taltalensis which form a complex of related taxon. It is still unclear whether this variable complex is one or several species. There is so much variation that most authors choose to lump them together. 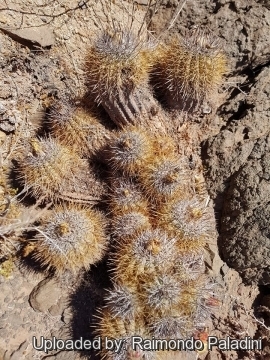 Copiapoa desertorum var. 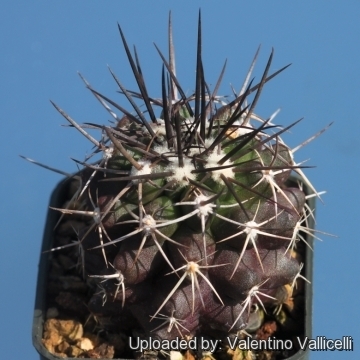 rupestris distinguishes for the straighter dark coloured spines and yellow or red flowers. They have been given an assortment of names involving desertorum, rupestris and rubriflora. 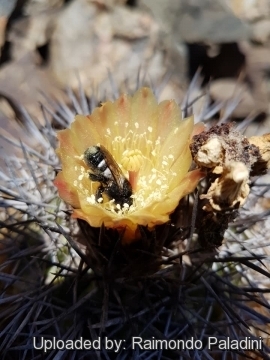 Copiapoa rupestris is an hardy desert type same to Copiapoa rubriflora but usually with yellow flowers rather than red (but the two colour forms cohabit in the same area and are not distinguishable if not in flower). Cultivation and Propagation: The location has to be warm and bright, and it has to be in direct sun. Otherwise the bodies tend to elongate in cultivation, but they should be protected from excessive heat and sun in summer. In the spring and late summer, water moderately. Between these times there are dry rest periods. In the winter keep the plant absolutely dry. The roots need a lot of room, so make sure that the pot is large enough. 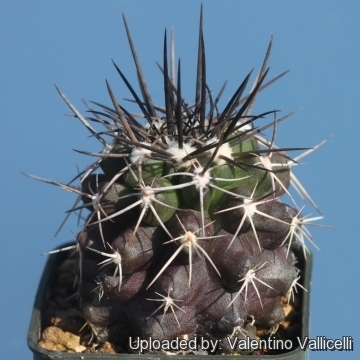 Use regular cacti soil with very good drainage. Reproduction: Seeds (offsets rarely), Grafting is often used to speed growth rate and to create a back-up to plants in collection.